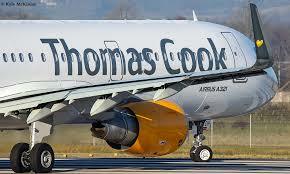 Thomas Cook today claims to be the biggest holiday company operating into Greece with the opening of the first Cook’s Club hotel in the country. The company expects to send three million holidaymakers to Greece in 2018, up more than one third on two years ago. The new Cook’s Club in Hersonissos, Crete, is the latest addition to a 188-strong own-brand portfolio and one of 47 Thomas Cook own-brand hotels in Greece. The company plans to have as many as 15 Cook’s Club properties open by summer 2019. The group is to invest around €150 million in the Greek tourism industry this year, up 22% on 2016. The company employs 1,050 people locally across its three own-operated hotels and its destination customer support and commercial teams. The introduction of Cook’s Club follows boutique lifestyle brand Casa Cook which also appeared in Greece first in Rhodes in 2016, with a second property added last summer in Kos and a third set to open towards the end of this summer in Chania. Date : 6/20/2018 08:47:00 μ.μ.